Many gardeners plant a spring vegetable garden with a number of different vegetable types, which is excellent because a diverse and varied garden is proven to improve soil health. 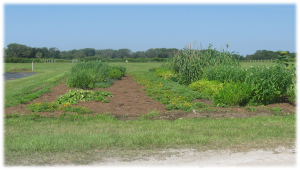 Intercropping is a gardening practice of growing different crops in the same field. When planting a mixture of crops in the same field year after year, it is important to rotate the location of each type of vegetable. This is a practice known as crop rotation. 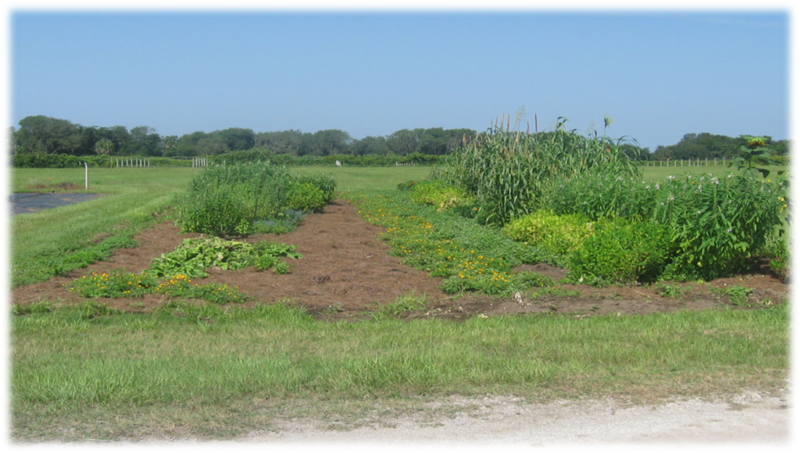 Intercropping and crop rotation will help reduce insect pest populations, increase beneficial insect populations, and reduce weed populations . Including plants that pest insects don’t like to eat in a garden forces the pests work harder to find what they find palatable. 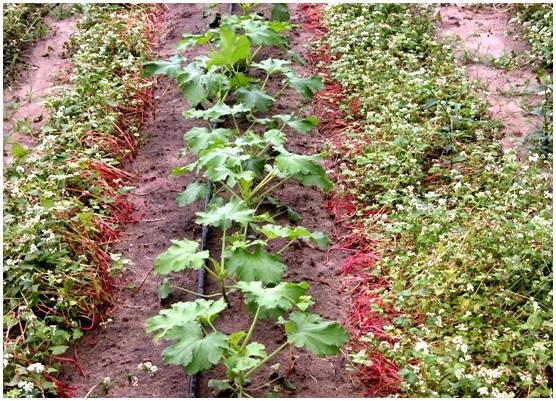 Studies have found reduced whitefly numbers on squash plantings mixed with a crop of buckwheat when compared to squash planted alone. Another crop mixture that may be unintentional, but may be favorable, is a crapemyrtle stand along a garden’s edge. Crapemyrtles will attract the crapemyrtle aphid which will attract predatory insects. When the predatory insects run out of crapemyrtle aphids to eat, they will move to the vegetable garden and begin to hunt pest insects. A trap crop is a plant that attracts a pest insect away from your food crops. Trap crops work best when planted at the garden’s edge, along a fence row, or in movable containers. A bare space, let’s say 5 feet or so, should be kept between trap crops and vegetable plantings. This will help keep the pests from moving desirable crops plants. When a large population of pests are found on the trap crop then it is time to spray them with insecticide, or cut the crop down and remove or destroy the debris. If trap crops are planted in containers, then it makes them much easier to remove from the garden when necessary. Providing a habitat for beneficial insects. 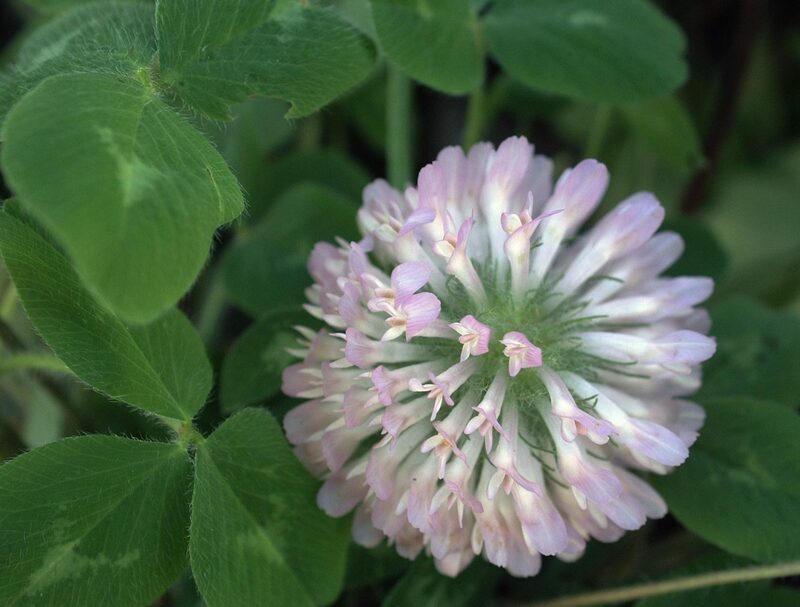 More detailed information on cover crops and green manure can be found at this link: http://edis.ifas.ufl.edu/aa217. Are you interested in growing squash in your garden? Do you know the difference between summer squash and winter squash? Check out this very informative instructional video on growing squash in your home garden by Walton County Agriculture Agent Evan Anderson. July’s hot summer weather has given way to August’s 31 days of what will likely be temperatures and humidity equally elevated and intense. Wishes for November’s cooler thermometer reading are already creeping into daily conversations. The lawns and gardens in Wakulla County have rains as a mitigating factor to counteract the wilting potential of normal to excessive temperature readings. Unfortunately the arrival of water from above is not on a set or easily predictable schedule. Traditionally, summer is the wettest season in Florida, with more than half of the annual rainfall occurring during the June to September “wet season”. Florida’s highest average annual rainfall occurs in the Panhandle with averages exceeding 60 inches per year. The Pensacola and Tallahassee weather stations are listed among the ten “wettest” stations in the nation. Still, this pattern of seasonal precipitation can vary greatly between locations, years and even days. This variability often results in the need to water the lawn, landscape and garden. By following a few guidelines, you can produce the best results for plants under stress and conserve a vital and limited resource. It is most efficient to apply water between 5:00 a.m. and 10:00 a.m. for several reasons. Only water that is in contact with roots can be absorbed by the plant. 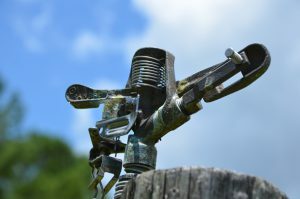 If water is applied after 10:00 a.m., a substantial portion of it will evaporate before it reaches the roots; more will then need to be applied and this resource’s productivity will be reduced. Never water late in the afternoon as evaporation will still be a problem, and wet turf and plants will invite a variety of fungal diseases to flourish as night settles. In the case of landscapes and gardens, water should be applied only when the moisture in the root zone system has been depleted to an unacceptable level, usually by 1/2 to 2/3 of the stored soil-water. There are several ways to determine when the soil-water reservoir has been depleted beyond an acceptable level. The simplest method is a visual inspection of the turf or plants. Common symptoms of water stress include leaf color changes to a bluish-gray tint, footprints which linger long after being pressed into the grass and curled or folded leaf blades. Be sure the sprinklers are delivering water to the target area as water which misses the soil and is applied to hard surfaces such as driveways and sidewalks will be wasted. It also may pose an environmental problem in the form of runoff. Surface runoff that flows past the landscape will usually reach streams, ponds, or the Gulf of Mexico. If it picks up pollutants along the way, they too will reach the surface water bodies. Over watering can be just as damaging as too little water. Excessive irrigation water can infiltrate the ground and reach groundwater aquifers. This issue is complicated when groundwater runs close to the surface. Excessive nutrients or pollutants can be discharged into surface bodies or move vertically into the deeper land layers. The connected springs and sinkholes in Wakulla County make the movement of surface water a common concern. Responsible and efficient irrigation will have positive effects far beyond the front yard. Most of you plant a spring vegetable garden with a number of different vegetable types. However, you may not realize that you are improving the health of your soil and your crops by planting a diverse garden. Intercropping is a gardening practice of growing different crops in the same field. When planting a mixture of crops in the same field year after year, it is important to rotate the location of each type of vegetable. This is a practice known as crop rotation. 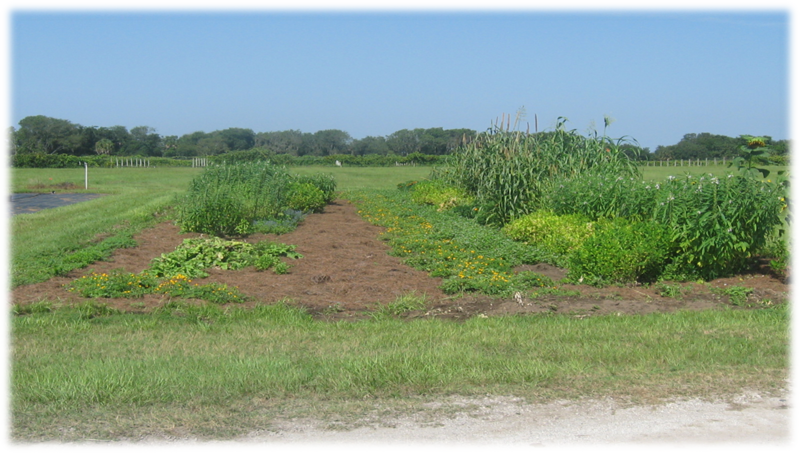 Intercropping and crop rotation will help reduce insect pest populations, increase beneficial insect populations, and reduce weed populations. Growing plants in your garden that pest insects don’t like to eat makes the pests work harder to find what they do like to eat. 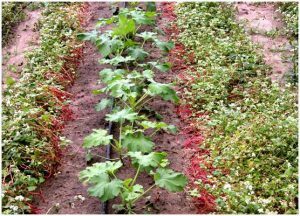 Studies have found reduced whitefly numbers on squash plantings mixed with a crop of buckwheat when compared to squash planted alone. Another crop mixture that may be unintentional, but may work in your favor is a row of crapemyrtles along the edge of your garden. Crapemyrtles will attract the crapemyrtle aphid which will attract predatory insects. When the predatory insects run out of crapemyrtle aphids to eat, they will move to your garden and begin to hunt pest insects on your vegetable crop. A trap crop is a plant that attracts a pest insect away from your food crops. Trap crops work best when planted at the edge of your garden, along a fence row, or in movable containers. A bare space, let’s say 5 feet or so, should be kept between your trap crop and your garden. This will help keep the pests from moving on to your vegetables. When you find a good population of pests on your trap crop then it is time to spray them with insecticide or cut the crop down and remove the debris to a location far from your garden. If your trap crops are planted in containers, then it makes them that much easier to remove from near the garden area. 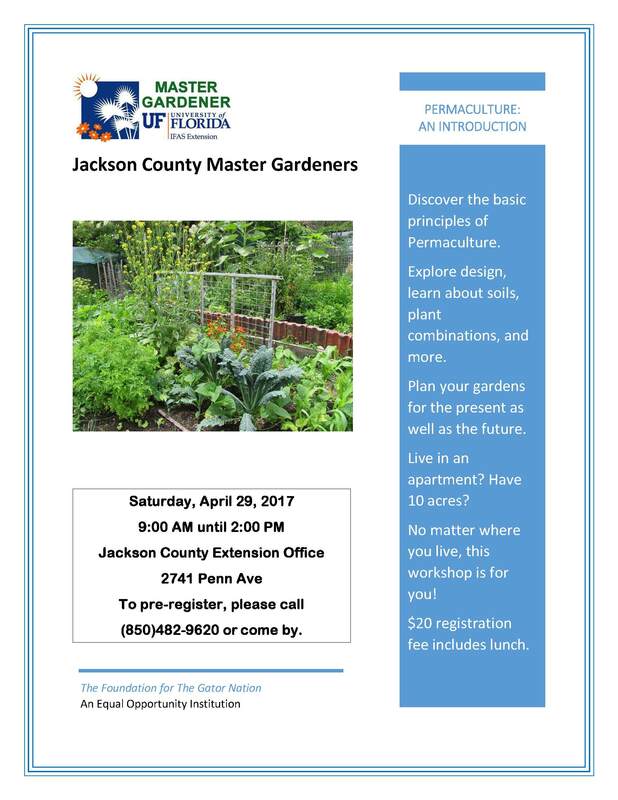 The Jackson County Master Gardeners are hosting “Permaculture: An Introduction” on Saturday, April 29. 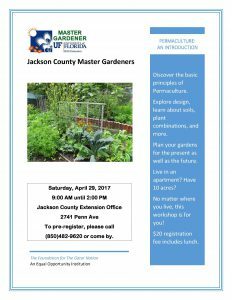 Join us from 9AM to 2PM on Saturday, April 29 at the Jackson County Extension Office (2741 Penn Ave., Ste.#3, Marianna, FL) to learn the basics of permaculture. What is permaculture you might ask? Basically, it is the utilization of edible plants in your landscape to create a food forest. The workshop is $20 and includes lunch. To register or for more details please contact Matt Lollar at mlollar@ufl.edu, (850)482-9620, or come by the Jackson County Extension Office.